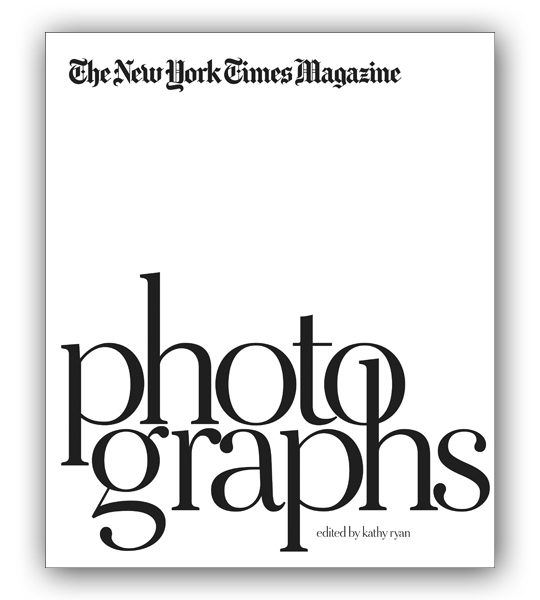 For over thirty years, The New York Times Magazine Photographs (October, 2011) has presented the myriad possibilities and applications of photography. Aperture is pleased to present the upcoming publication and exhibition The New York Times Magazine Photographs, which reflects upon and interrogates the very nature of both photography and print magazines at this pivotal moment in their history and evolution. Edited by Kathy Ryan, long-time photo editor of the magazine, and with a preface by former editor of the magazine Gerald Marzorati, this volume presents some of the finest commissioned photographs worldwide in four sections: reportage, portraiture, style, and conceptual photography, including photo illustration. Diverse in content and sensibility, and consistent in virtuosity, the photographs are accompanied by reproduced tear sheets to allow for the examination of sequencing and the interplay between text and image, simultaneously presenting the work while illuminating its distillation to magazine form. This process is explored further through texts offering behind-the-scenes perspective and anecdotes by the many photographers, writers, editors, and other collaborators whose voices have been a part of the magazine over the years. KATHY RYAN (editor) is the award-winning photo editor of the New York Times Magazine. Ryan was recognized as Canon Picture Editor of the Year in 1997 at the Visa Pour l'Image festival in Perpignan, France, and in 2003, was named Picture Editor of the Year by the Lucie Awards. GERALD MARZORATI (preface) is an Assistant Managing Editor of the New York Times. He was the Editor of the New York Times Magazine from 2003 to 2010. Before joining the Times in 1994, he worked as an editor at the New Yorker, Harper's Magazine, and the SoHo Weekly News. Aperture-a not-for-profit foundation, connects the photo community and its audiences with the most inspiring work, the sharpest ideas, and with each other - in print, in person and online. Now you can enjoy reliving moments in history shared by the former Secretary of State Condoleezza Rice. Form her childhood experiences of segregation to her need to impart what does help African Americans succeed in life. She reveals her moments of fear, courage and brilliance with style. Available at Google online or Amazon.com. Get an eye full of Michael Levine's powerful review of past and present mistakes, and solutions he believes will help. "Throwing money at the Treasury won't work" he says. We in American are currently living in "Blissful Irresponsibility." This very beautifully designed book is filled with delicious Polish recipes Beata Zatorska learned from in the farm house of her grandmother as a child, but when she returned her beloved grandmother was gone but had left the handwritten recipes found in this charming book, along with her memoirs of a childhood in Poland in the �60s and her journey with her husband to discover the Poland of today. 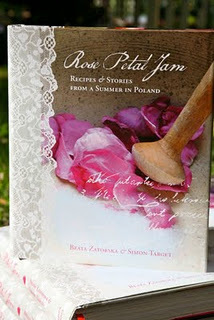 If you love Polish food, and I do, you will cherish the recipes in this book. The love in the creation of this publication is all over it! Dry lessons, crisp morals or Wisdom's bright jewels. Good books have good manners... This one sometimes drools. It's the sort of book teachers don't like in their schools. Luck, passion, un-made beds and creep-crawly things! And that wizards oft' whisper at night in their dreams..."
The making of Piglet Willy is really about the importance of mentorship and belief in the power within all of us, to shape our dreams into reality. I was blessed with a great mentor, the iconic Ray Bradbury, and the result of that mentorship has brought me to this moment. So, the gift of mentorship not only shapes our own lives, but also has the power to create a positive message for future generations. I was a child prodigy and I first met Ray Bradbury when I was 17. It is the example of his life that has defined my life and, at 90, Ray continues to give to the world. Piglet Willy could not have been imagined, if not for the life work of Ray Bradbury. Ray teaches that the power of Imagination can shape destiny and that we must go back to childhood, rediscovering our first loves, to fulfill the creativity and joy within our hearts. Everything that we do in life must come from love... everything... there is no other way in which to truly live. In 1932, when Ray was about twelve years old, growing up in Waukegan, Illinois, he visited a carnival. Mr. Electrico was performing that day and, as he wielded his electric sword over the gathering crowd, he pointed it at that same twelve year old, Ray Bradbury. Touching Ray's brow with his sword, Mr. Electrico commanded, "Live Forever!" He has. Piglet Willy is dedicated to the twelve year old Ray Bradbury, who treasured his creative soul... To the Imagination and Wonderment of the child, within the heart of the Man. Achievement has always been a great part part of my life and it has defined me; but, I never really understood success, until I came to Santa Barbara five years ago. I had sent Ray my new work and he called me... He called to tell me that he loved me and that I was his "hero." The day that your hero calls you his "hero" is the day that you truly understand who you are and the purpose of your life's work. I knew then, that it was time for me to mentor the next generation... It was now my responsibility to share what Ray had taught me. The beauty of art and writing is that we can share joy and laughter through the medium... illuminate through the simplicity of the fairy tale. Miss Wilhelmina Whitewitch is a fanciful guide who inspires the magic of literacy and a love of reading. Through literacy, children have the power to shape their lives. Miss Whitewitch advises children that "Adventure begins, when you read a book! Read, Learn, Grow and Imagine!" I think that The Brothers Grimm had it right when they guided us as children through the Enchanted Forest, where we met the beautiful princess and the heroic prince... as well as the ogres, witches and wizards. For fairy tales are teaching tales. They guide us through the imaginary and into the world around us. When we realize that we are all of the characters... The princess, the wizard and the hero too... Then, we discover the real treasure... That we are writing our own life stories and we have the power to save the day. That is the art of the story... For stories teach, heal and inspire. The launch of Piglet Willy will be an incredible event, promoting childrens' literacy and will take place at the Four Seasons Resort, Biltmore Santa Barbara, December 10th, from 12PM - 3PM. Throughout this holiday season, a percentage of the profits, from the sale of Piglet Willy will benefit both the MUS PTA & The Boys & Girls Club of America. Guests attending Piglet Willy's World Premiere at the Four Seasons Resort, Biltmore Santa Barbaa, will be the first to see and collect the edition. Tickets to the event can reserved by phone. 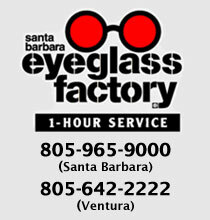 Call: 805-708-3777. The invitation details are listed below. Piglet Willy is endorsed by the legendary author Ray Bradbury; Stan Lee, creator of Marvel Comics; as well as Thomas Steinbeck! Piglet Willy is written in comical rhyme... A delight for both children and adults! Visit Piglet Willy's web site for a tour of Piglet Willy's Magical World. "Read; Learn; Grow & Imagine!"